PPP Presidential Candidate Irfaan Ali yesterday encouraged Guyanese to be inspired by the legacy of the late President Janet Jagan. 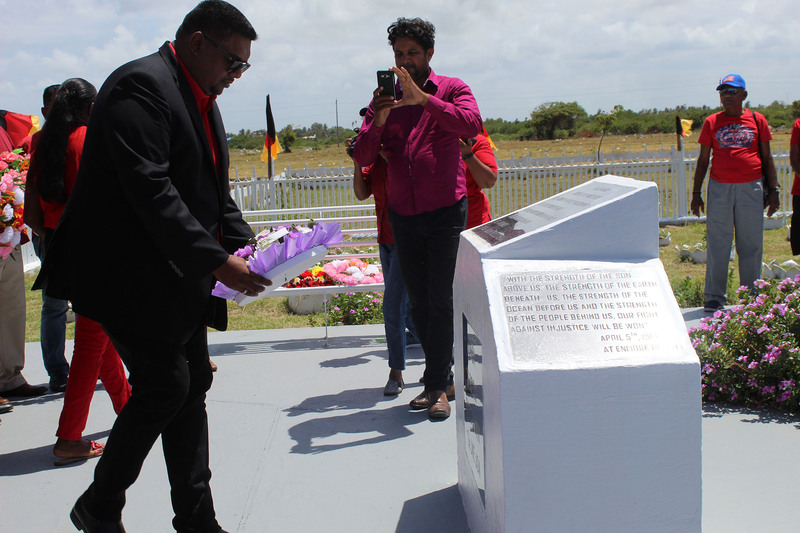 Speaking at a wreath laying ceremony for the 10th death anniversary of the former President at the Babu John cemetery yesterday, Ali said that the “national leader” was fearless and patient in her fight for workers’ rights and political freedom. He encouraged those gathered to refer to her legacy and be inspired, “to recommit ourselves in the present struggle, and the struggle today is one in which our parliamentary democracy is at risk, our national democracy is at risk and our electoral freedom is at stake and these are fundamental aspects of a society that is free, of a society that represents the interests and rights of everyone.” ….